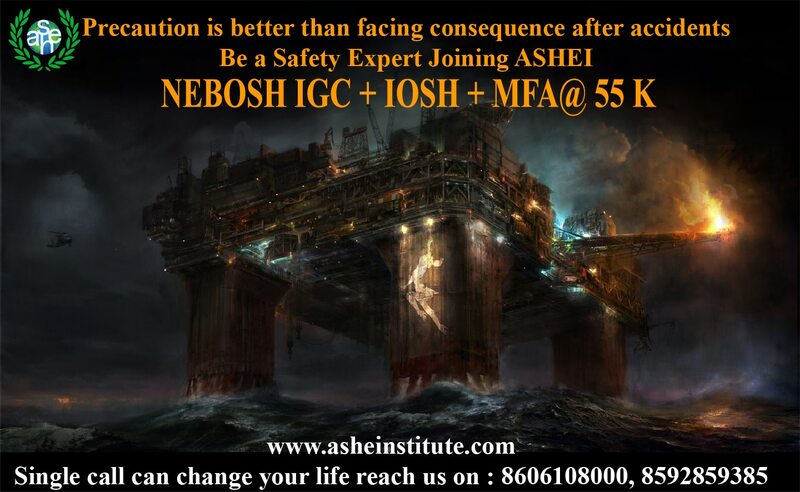 Updates | ASHEI in Kochi,For Detailed Information, Visit www.asheinstitute.com ASHEI (Anil Menon’s Safety Health and Environment Institute) is a social organization accredited to Nebosh, British Safety Council, IADC, Medic First Aid (USA) and Provider for IOSH (Managing Safely) and other health and safety courses. 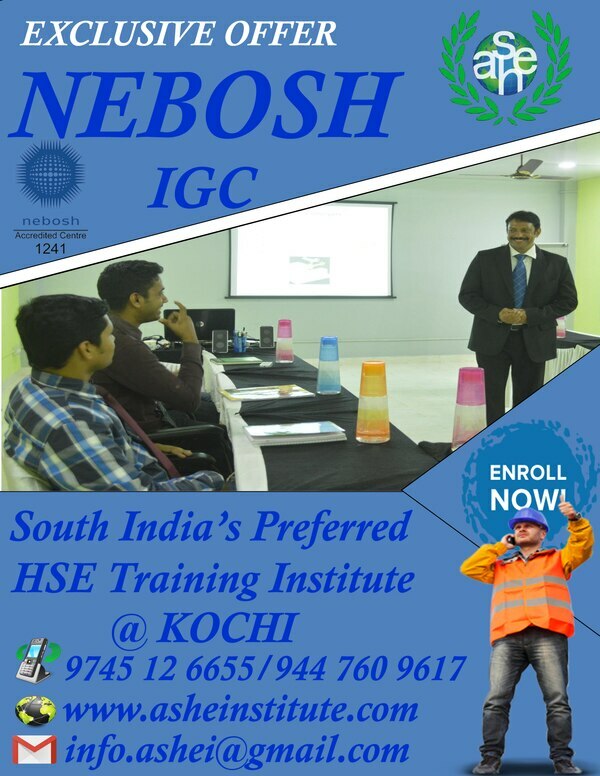 We focus on imparting world class safety training and consulting services in Industrial Safety, Health & Environment protection (HSE) for Engineers, Diploma holders and graduate to become Health and Safety Professionals, support to medium and large enterprises for developing and implimenting HSE systems etc. 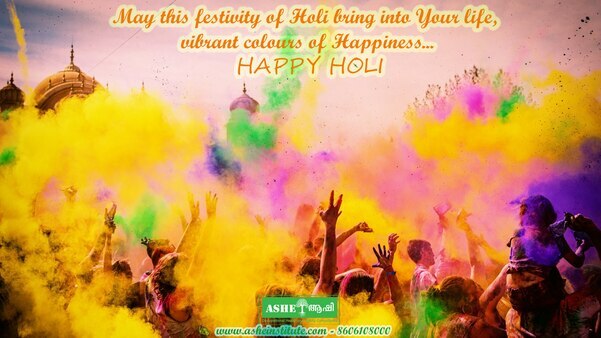 ASHE Institute is based at Palarivattom, Cochin, Kerala. 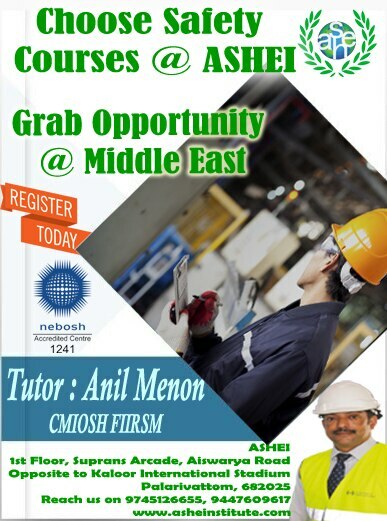 We organize International Safety courses like NEBOSH (UK), OSHA (USA), IOSH (UK) and Medic First Aid (USA). Our vision is to provide world class Safety Training at very affordable investment. ASHE Institute conducts Industrial safety training. We provide Health, Safety & Environmental courses to meet your organizational objectives for in-company at your site and for our open courses on a diverse topic and sector specific areas. Fire prevention & Control, Confined space safety, Safe working at heights, Respiratory protection and Emergency response are a few services out of the myriad Industrial safety solutions that we provide. 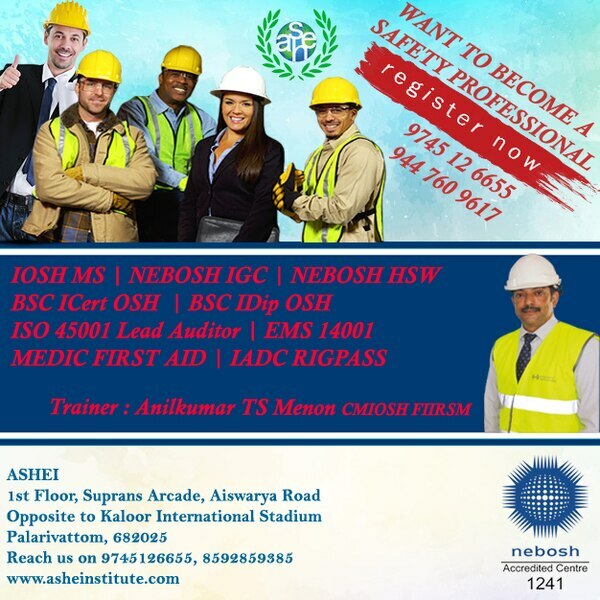 ASHE Institite concept was formed in 2008 at Dubai in the name of international safety consultants with OSHA training .It transformed to the present organisation with a remit to assist ,train and encourage students concerned with matters relevant to the operation of the objectives of the health & safety at work. We delivers a range of health & safety accredited training from leading industry bodies such as NEBOSH and IOSH ,with excellent pass rates, in a style to inspire any employee. 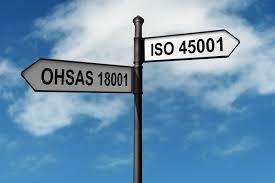 Anil Menon’s vision is that “Health & Safety becomes a priority for everybody” under the lead of Mr. Anilkumar TS Menon, Chartered Member of IOSH, FIIRSM and OSHCR (UK). We provide a safety haven to the candidate, which inspires & inculcate the occupational health & safety concepts in a optimistic manner.